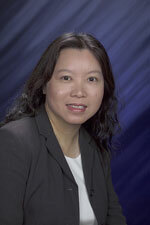 Leung is widely considered one of the top few researchers in the United States and the world in regional climate modeling, and is internationally recognized for her research on regional climate change and the hydrological cycle. She led important efforts in defining research priorities and needs in regional climate modeling, and coordinated community efforts to develop capabilities in community models to simulate regional climate. Her research crosses scientific disciplines to advance the state-of-the art in predicting climate change and its regional impacts.